Our ecommerce order fulfilment process includes a comprehensive and seamless integration with your current system, or the setting up of a new ecommerce store that directly links to our in-house order fulfilment and shipping systems. 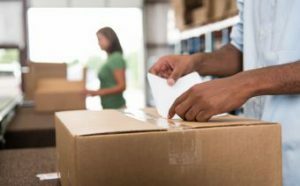 Learn more about the different computer integration options available from NPF to simplify the ecommerce order fulfilment process. At National Products Fulfilment, we guarantee online retail’s fastest and most accurate fulfilment service. If it is reliability and precision you seek from your E-Commerce fulfilment solution, you needn’t look any further than NPF. With a state-of-the-art interface that has the ability to integrate seamlessly into your E-Commerce back end, we have fine-tuned a successful and streamlined process supported by in-house product fulfilment, logistics and warehousing services and shipping systems. Beyond our in-house system, NPF has the capacity to integrate across several leading third-party shopping carts, payment gateways, and accounting packages. You needn’t worry if you are already set up with Shopify, Magento or many of the other available platforms. Our ability to streamline all of these available platforms means that you won’t have to expend unnecessary efforts and resources getting multiple systems running independently for your business. When you invest in NPF we give you the freedom to focus on expanding your business, while we take care of everything else. 3PL Logistics is the way of the future, and at NPF we are happy to assist your business’ move into a more efficient tomorrow. We function with a keen understanding of the way in which E-Commerce has revolutionised the order fulfilment process. The World Wide Web has allowed customers far reaching access, and limitless options. This means that the value of reliability couldn’t be more pertinent. Customers these days value fast and accurate delivery, and base their customer loyalty upon these factors. This is where NPF comes in, protecting your brand and its customer relations by ensuring streamlined order processing, order import, and order management solutions. Our E-Commerce product fulfilment process begins immediately after the customer hits “buy”. In traditional order fulfilment timelines, each order undergoes a process whereby it is processed, picked and packed and then finally shipped out to the customer. Whilst not a complex process, it leaves a whole lot of room for error with inconsistent results, lost products, and high instances of expensive reverse logistics. At NPF we aspire towards being a resource that you and your business can rely on. With complete integration between your system and ours, and our comprehensive logistics and warehousing services, we have the ability to process orders as they are received. Our twenty minute guarantee means that you can rest assured that your goods will be picked and packed within twenty minutes, and shipped same day or within 24 hours of the order. We go the extra step at NPF, to make sure we represent your brand in the best possible light. Each item we ship is scanned before packing, thereby eliminating the margin of error, and ensuring accuracy in product fulfilment. We understand that several channels of E-Commerce are available to customers, and as such, our order management and order processing systems are highly flexible and integrate across all these channels. Should a customer view offerings on your website, and call to place an order, we are able to process this information at the same speed and accuracy as an order that comes through your website. We are here to serve your business. We handle every ecommerce fulfilment with speed, accuracy and efficiency. Our fast and competent team can usually turn an order around within 24 hours, and will report on every single order from receipt to dispatch.Learn more about our product fulfilment guarantee here. Our Ecommerce Fulfilment System – NPF can link to almost any existing payment gateway service. Our ecommerce order fulfilment process is state-of the-art and easy to use, with a huge selection of features to cover all of your requirements. Picture placement of the product for each SKU. Accounting features – NPF’s ecommerce order fulfilment process can also handle the demanding task of tracking and reporting daily financial numbers to provide you with the information required to import into your financial systems. Inventory valuation – To assist in calculating the cost of goods, our system keeps an up-to-date figure based on your choice of LIFO, FIFO or a running average of all purchases for each stock item. Comprehensive reports track changes to inventory quantities and values. General ledger interface – Our ecommerce fulfilment system allows you to keep your existing accounting software by providing an interface to all of the popular software accounting packages available today. Get in touch with us today to organise a demonstration of our system and see what benefits can be created for your company through our ecommerce order fulfilment process..